Find out how to join "The Greatest Little Yacht Club in the World"
Our modest outdoor facility, located in the beautiful cove of Emerald Bay (Catalina Island's West End), is the 2nd home to a small fleet of 75 Southern California boaters. The white sands, complex reefs and luscious kelp make a home for many underwater creatures, which is why Emerald Bay is considered one of the best dive spots in California. After a single visit, many boaters quickly come to see why Corsair Yacht Club is considered to be the "Best Little Yacht Club in the World!" 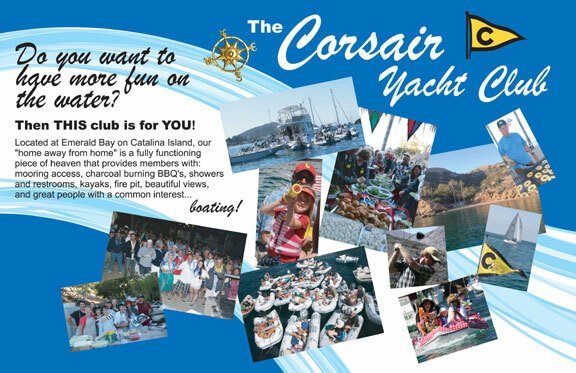 Copyright © 2011 Corsair Yacht Club. All rights reserved. This is an open event to the community. On Saturday evening, please bring your own food to grill, beverages, plates, and utensils to Buffalo Park. 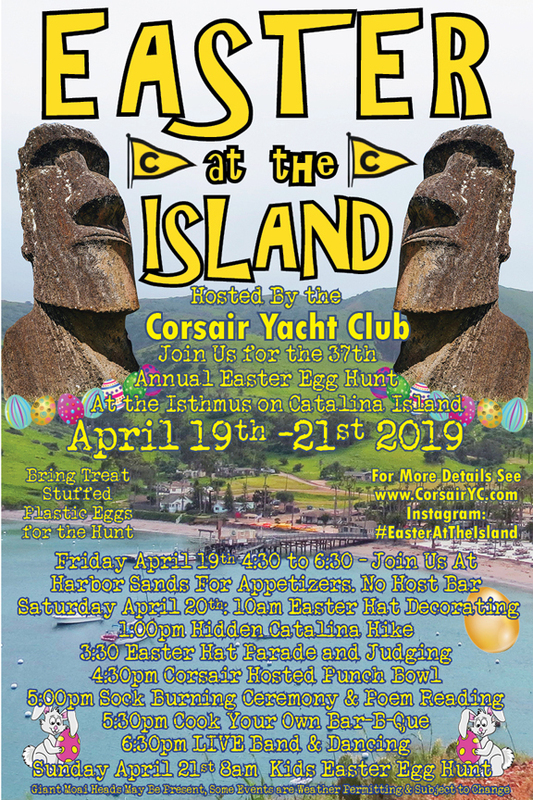 If you have any further questions, please contact Bob Eberwine at secretary@corsairyc.com or 949-933-7100.